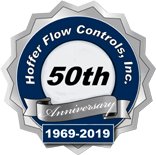 The Hoffer HP Series of Insertion Turbine Flowmeters are designed for measuring liquid and gas flow in medium to large diameter pipes with accuracies inherent in the turbine flowmeter at a substantially lower price than in-line flowmeters. 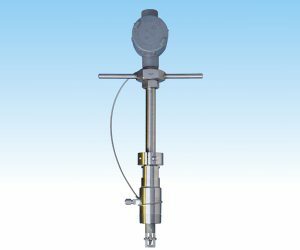 Several versions are available including fixed, adjustable, bi-directional and high pressure. In addition a number of process fittings and materials of construction may be supplied to suit the demand of various applications. Wide flow turndown ranges for both liquids and gases. Applications from 4″ to 72″ pipe diameters. Specials upon request. May be installed or removed from active line without stopping service. -20 to +400°F standard operating temperature range with Viton Seal. Precision flow measurement of liquid and gas applications in large diameter pipes at a lower cost than using an in-line flowmeter.